Buckwheat is the speedy short-season cover crop. It establishes, blooms and reaches maturity in just 70 to 90 days and its residue breaks down quickly. Buckwheat suppresses weeds and attracts beneficial insects and pollinators with its abundant blossoms. It is easy to kill, and reportedly extracts soil phosphorus from soil better than most grain-type cover crops. Buckwheat thrives in cool, moist conditions but it is not frost tolerant. Even in the South, it is not grown as a winter annual. 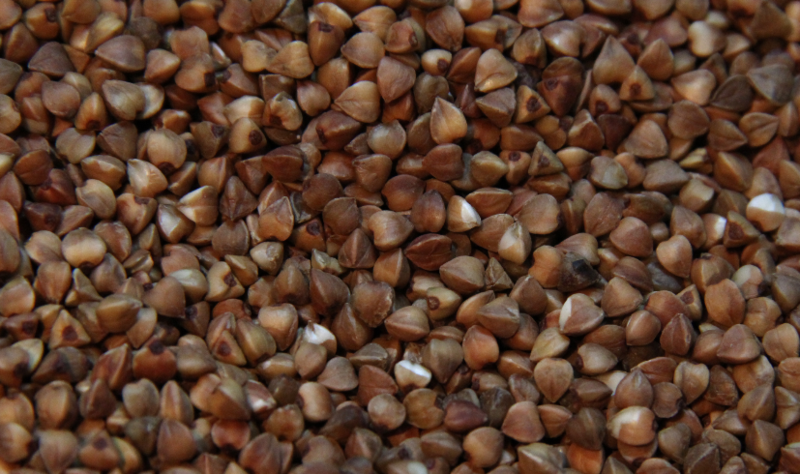 Buckwheat is not particularly drought tolerant, and readily wilts under hot, dry conditions. Its short growing season may allow it to avoid droughts, however. Quick cover. Few cover crops establish as rapidly and as easily as buckwheat. Its rounded pyramid- shaped seeds germinate in just three to five days. Leaves up to 3 inches wide can develop within two weeks to create a relatively dense, soil shading canopy. Buckwheat typically produces only 2 to 3 tons of dry matter per acre,but it does so quickly—in just six to eight weeks. Buckwheat residue also decomposes quickly, releasing nutrients to the next crop. Weed suppressor. 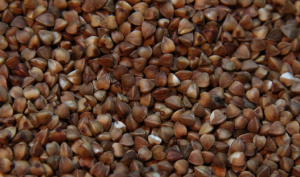 Buckwheat’s strong weedsuppressing ability makes it ideal for smothering Phosphorus scavenger. Buckwheat takes up phosphorus and some minor nutrients (possibly including calcium) that are otherwise unavailable to crops, then releasing these nutrients to later crops as the residue breaks down. The roots of the plants produce mild acids that release nutrients from the soil. These acids also activate slow-releasing organic fertilizers, such as rock phosphate. Buckwheat’s dense, fibrous roots cluster in the top 10 inches of soil, providing an extensive root surface area for nutrient uptake.